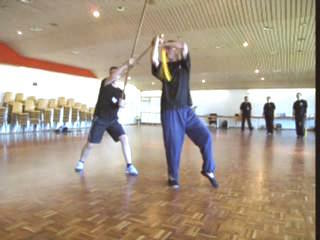 Unlike a saber which can be used to block an opponent's weapon, a sword is too dainty for this purpose. 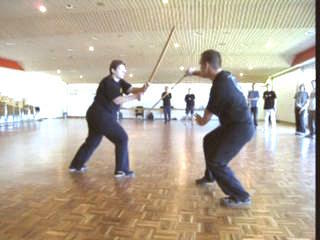 Right spacing, so that you are safely away from the opponent's weapon, is therefore of utmost importance. 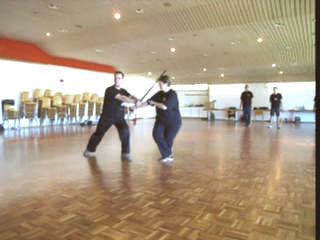 Notice the huge difference spacing can make in the situations shown in the videos although both the attacking and the countering techniques remain the same. 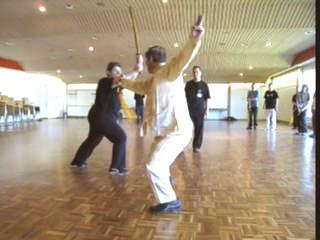 Correct Spacing is of Utmost Importance in Swordsmanship from Wong Kiew Kit on Vimeo.